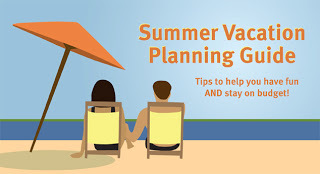 Find great ways to enjoy a getaway without busting your budget with Virginia Saves Vacation Planning Toolkit. With a little prior planning you can have the most memorable summer fun and create lasting memories for you and your family. Now is a great time for a mid-year savings review. Wish you had a little more stashed away for summer fun? Make some extra dollars by putting what you already have to good use. Use your skills and expertise to offer tutoring or teach classes over the summer. Do you craft or create in your spare time? Sell your wares. 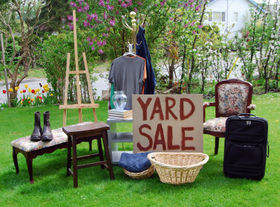 Finally, have a yard sale to make some extra cash. List more expensive or leftover items on online auction sites or web bulletin boards. By purging what you no longer want or need, you can create more space in your home and in your budget. The number of compromised records has been on the decline the last two years, according to the Secret Service, after reaching a record high of 361 million records in 2008. The trend might reverse this year, however, after a recent string of mishaps. Some consumers are considering dumping their bank and instead using prepaid debit cards as an alternative to a traditional checking account. The reasons for doing so vary, but convenience and a desire to control spending are among the top motivators. However, the decision to embrace prepaid debit cards can be fraught with danger, according to Nikiforos T. Laopodis, associate professor of finance at Fairfield University's Dolan School of Business in Connecticut. Laopodis says high fees and lack of government regulation are among the factors that make prepaid debit cards riskier than some people might think. He outlines his thoughts in the following interview. Payday loans lead many borrowers into cycles of debt, according to a new white paper by the Consumer Financial Protection Bureau. Among the study's findings: most payday loan borrowers make less than $30,000 annually, and the average borrower is in debt for nearly 200 days a year. More than 1/2 of payday loan customers remain in debt for 199 day out of the year (more than six months) while the average repayment period for a payday loan is approximately 2 weeks. The average amount borrowed on a payday loan is $350 but the total fees paid over a 12 month period for payday loans is $458. 1/2 of all payday loan customers earn $22,476 or less. 25% of all payday loan customers report some form of public assistance or other benefits. Virginia offers a minimum of two payday cycles for loan repayment and a madated cooling-off period after loan repayment. Knowing your credit score is a good thing. But understanding what affects it is even better. This video outlines five important factors contributing to your credit score. One of the actions people in the Mayor’s Action Challenge need to complete as part of demonstrating financial fitness is to create a valid will. http://www.doyourownwill.com/ has a simple will that is fairly easily without requiring a login etc. Recognize that it may not adequately address complex situations, for those you should see a lawyer. Remember, have your will notarized and signed in front of two witnesses. Your bank often can provide that service. What do you need to know about courtesy overdraft-protection, or bounce coverage, plans? Avoid using these plans as short-term loans--they are costly forms of credit. If you overdraw your account, get money back into your account as soon as possible. Remember that you need to put enough money back into your account to cover both the amount of your overdraft and any bank fees. Even if you have one of these plans, there is no guarantee that your bank will cover your checks, ATM withdrawals, and debit card and other electronic transactions that overdraw your account. Good account management is the lowest-cost way to protect your hard-earned money. If you need overdraft protection every now and then, ask your bank about the choices and services that are right for you. What are some other ways to cover overdrafts? Link your checking account to a savings account you have with the bank. If you overdraw your checking account, the bank can transfer funds from your savings account to your checking account. Ask your bank about transfer fees. Set up an overdraft line of credit with the bank. You need to apply for a "line of credit" just as you would apply for a regular loan. If you overdraw your account, the bank will lend you the funds by using your line of credit to cover the overdraft. You will pay interest on this loan, and there may be an annual fee. But the overall costs may be less than the costs for courtesy overdraft-protection plans. Link your account to a credit card you have with the bank. If you link your account to a credit card, any overdraft amount becomes a cash advance on your credit card. You will probably be charged a cash-advance fee, and interest charges on the advance will start immediately. The cost of this option depends on the interest rate on your credit card and how long you take to pay back the advance. * These costs are only examples. Ask your bank, savings and loan, or credit union about its fees.